After failing not-so-miserably with the alleged BONAPARTE'S GULLS in Cardiff it was time to head elsewhere. The trip to the sewage works was not a wasted one however as we were all entertained by a birder 'sitting on the fence'..... quite literally. The daft bugger had decided to scale the steel defences of the water treatment plant in order to gain access to the sea wall. 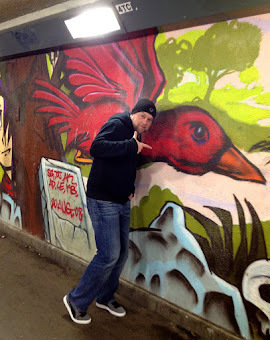 The trouble was the daft bleeder could not summon up the energy to lift himself back over. It was reminiscent of watching an helpless, arthritic toad trying to climb out of a Vaseline lined glass tank. Eventually though, a rescue team was assembled and a few minutes later he was lifted back over suffering no more than a grazed scrotum and a bruised ego. We then headed the short distance west to Lower Penarth and more specifically to Cosmeston Lakes Country Park. After a quick check of the pager for directions, we made our way down the boardwalk where we stumbled across a feisty Whooper Swan competing with the more submissive Mute Swans for scraps of bread. Surely it must be an escapee or an individual that was once taken into care at some point and released at the park? 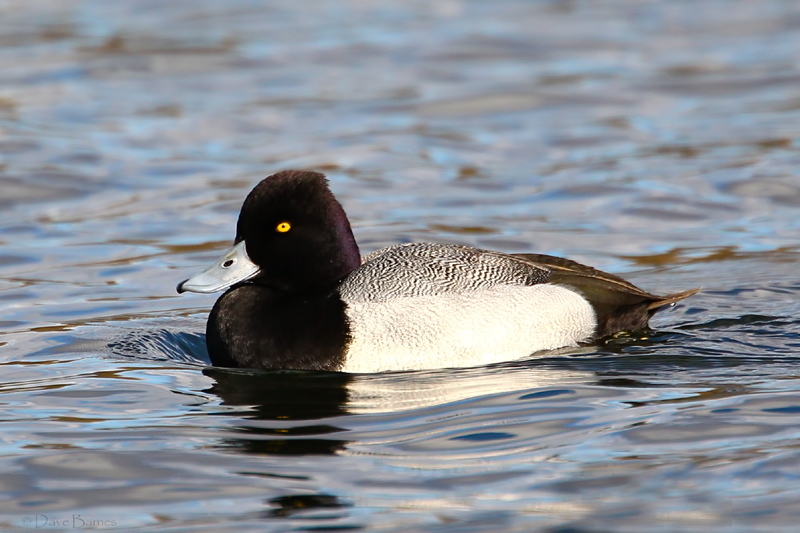 We then made our way around the perimeter of the Eastern Lake where we soon located our second American vagrant of the day, a fine adult male LESSER SCAUP bobbing around with a few Tufted Duck. The bird showed extremely well at times often swimming quite close to the shoreline. 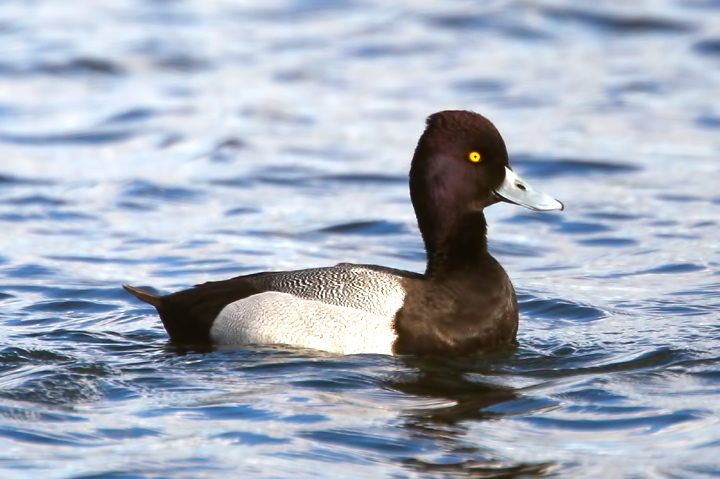 After seeing the female LESSER SCAUP at Slimbridge WWT last month this species was not even a year tick for me but it was for the rest of the lads. On our way back to the car I noticed that the Whooper Swan was stood out of the water. Upon closer inspection I could see that it had a orange darvic ring on it's left leg with the code 'Y59' inscribed in black lettering on it. On the right leg it appeared to carry a metal BTO ring. After a bit of research it appears that the Whooper Swan was trapped and ringed during January 2011 in Worcestershire. When the bird was processed it appeared that the bird's head was stained orange, a sign that in may have originated from the iron rich lakes in Iceland. It was initially found at Cosmeston Lakes on the 27 December 2011 and has remained there ever since.